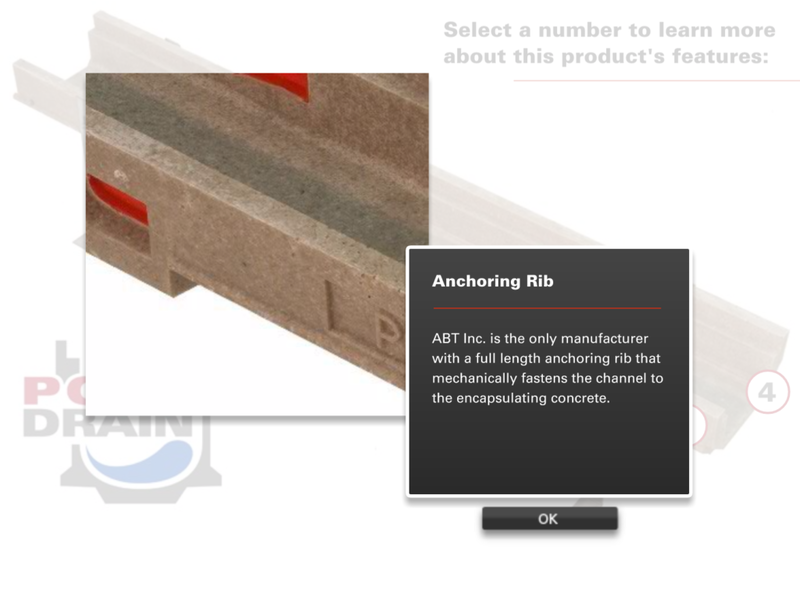 PolyDrain Shallow - ABT Inc.
PolyDrain Shallow Channels offer a practical and economical drainage solution where slab depth restrictions dictate the necessity of a shallow channel. 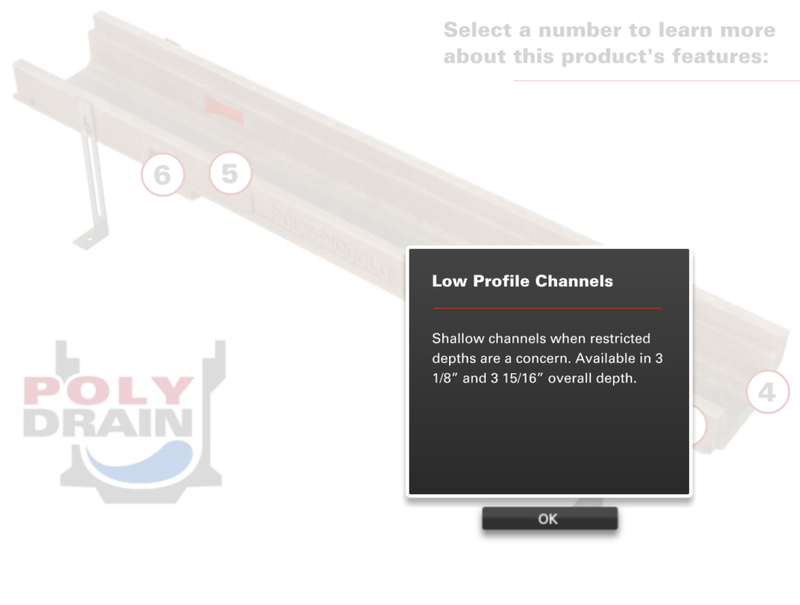 Shallow channels feature our exclusive “Red Dot” locking blocks and can accept any standard PolyDrain grate. 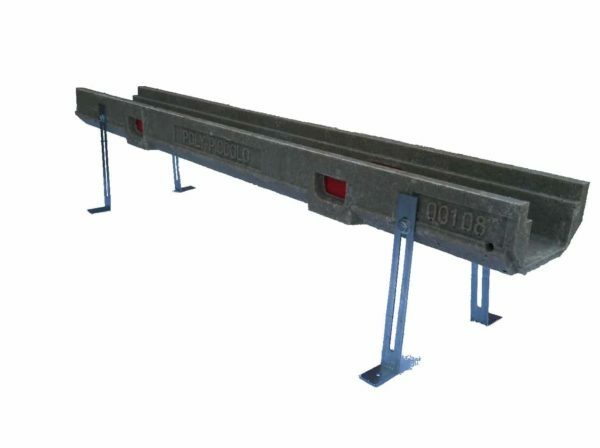 Special support legs attach to channel sides and speed installation. 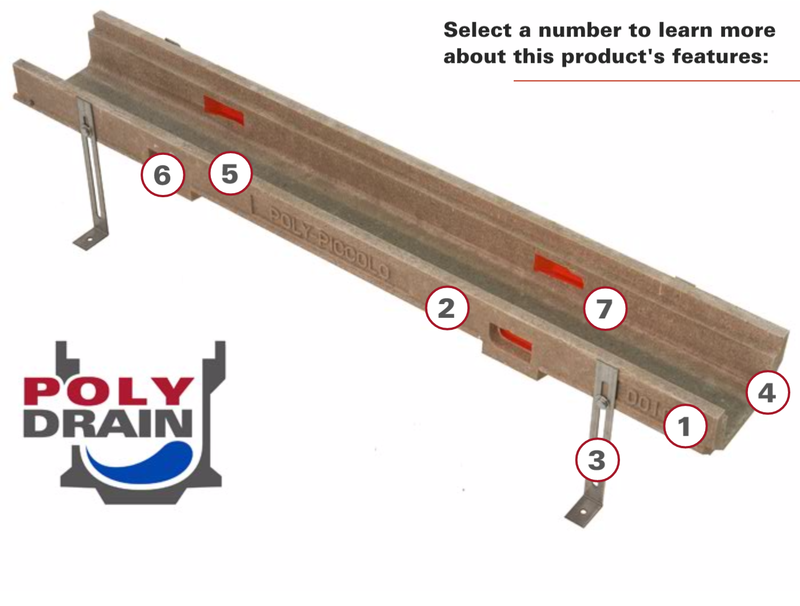 Solid end plates and vertical outlet connectors are also available. Selecting a fire resistant trench drain system should be common practice for any interior application. Trench Drains are often the collection points for flammable fluids and heavier-than-air vapors. As a result, trenches even when empty, can act as a pathway for flame spread. For more info, see our Flame and Smoke page. PolyShallow Channels offer a practical and economical drainage solution where slab depth restrictions dictate the necessity of a shallow channel. PolyShallow channels feature our exclusive “Red Dot” locking blocks and can accept any standard PolyDrain grate. Special support legs attach to channel sidewalls and speed installation. Solid end plates and vertical outlet connectors are also available.